Ever since Directv changed their Pay Per View policy to a 24 hour viewing windows (see my post) I have been searching for an alternative solution. The closest one I have come up with is the NetFlix service. I went back and calculated what we spent on PPV over the last 12 months and was surprised to find that the $8.99/month NetFlix subscription was slightly less. The only disadvantages are planning our selections ahead of time and the wait time on some new releases. My mother has NetFlix and sometimes she has waited more than 30 days to receive a popular new release. With Directv we used to record PPVs without purchasing them, then we could watch the PPV we were in the mood for. With the NetFlix $8.99 plan, you receive one DVD at time which means only one selection to watch. 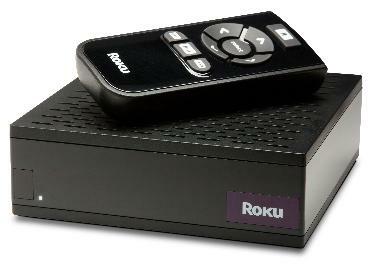 With the release of the NetFlix Streaming box for $99, NetFlix now has a real alternative to delivering content. Right now the 10,000+ titles available for streaming are older titles and only in standard definition. The box will be upgraded to HD when NetFlix releases streaming HD content. The one interesting caveat on the content side, is that they have all the most popular TV series which have been released on DVD. Here is a good Gizmodo review of the NetFlix Streaming box. 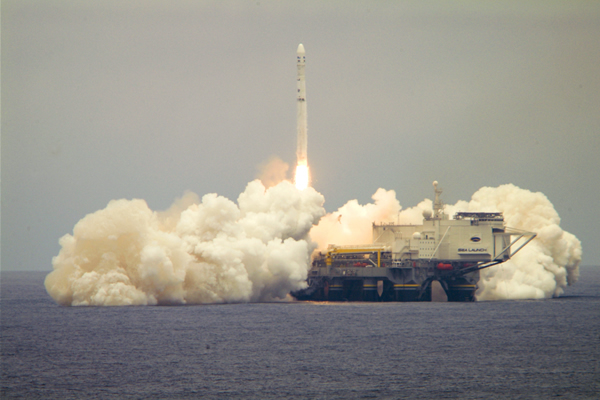 Here is a nice shot of the launch courtesy of Sea Launch. This satellite will provide up to 1500 HD channels. The satellite uses the latest spot beam technology to provide viewers with their local broadcast stations in HD, that is as soon as the local stations provide the HD signal to Directv...I am waiting for our local PBS station (WETA) in HD from Directv, although I do receive it using an ATSC antenna. I have been very happy with the HD content provided by Directv, and I do recieve many more channels in HD than my friends and family on Comcast. I have had some issues with the radio on my Tilt (dropped calls and unable to answer second call). When I updated to Dutty's Dual Touch V3 ROM, I updated the radio to 1.27.12.32, last week HTC released a new OS and radio 1.27.15.32R2 ROM. A forum member on xda-developers (thread) has produced a radio only ROM update found here. I updated my Tilt this weekend and the signal is definitely stronger, however as some have posted I was initially having GPS problems. After reading the thread, I ran quickgps, updated my position, performed a soft reboot and everything is working, although the acquisition time seems slower than before. I can live with that, considering the signal strength seems much better. I have not had the opportunity to test answering a second call and will report back. Since I now have Sirius in my BMW, the subscription provides on line streaming for most of the channels, I have to decided to examine various Windows Mobile solutions to listen to Sirius on my Tilt and will post my results later this week. Last Friday Directv went national with its latest production firmware release version 0x1EA for the HR20-700 and HR20-100. So far so good, I have to try playing videos from my Vista Ultimate desktop via the DVR this week. There was also a beta release via dbstalk.com which I passed on. I should be receiving Verizon's new SMT5800 Windows Mobile 6 Standard phone this week for a pocketnow.com review..